Felicity Bennett is engaged to marry a gambling swindler against her will, her only way out is to pay him. So she accepts a tutoring position for the impressive Duc and Duchesse de Valere. Felicity expects to be a governess to a small boy named Armand, but she finds out that Armand is a very handsome, if untamed, grown man. Armand had been imprisoned since childhood during the French Revolution. While in prison, he lost all human contact, even losing his ability/desire to speak and touch others. Will Felicity be able to help him communicate in society and overcome his past, and can Armand help her overcome hers? I loved this book! The romance between Felicity and Armand was magical. It seemed like they were the only two people in the world. Armand was so guileless in his feelings for Felicity, he never played Society's games, always choosing to ignore their rules. I loved that the romance was so simple because of Armand's lack of knowledge of "The Rules"-not to mention that he didn't care to even learn them. Armand was so fierce, but since he had been through so much pain, he was very vulnerable. I liked the backdrop of the French Revolution. 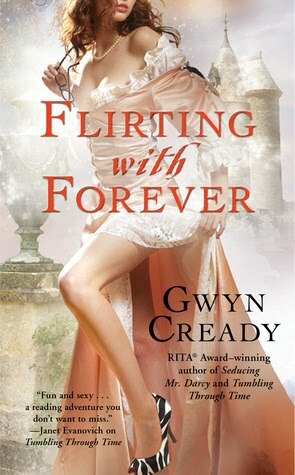 It's not something you read about a lot in historical romance, so it was good to read something new. And Armand being a Comte just sounded exotic and untamed just like him. This romance was very much about a fantasy and a very pure love. The story was simple and not overcomplicated with side stories. There was a very clear and valid reason why Armand didn't speak, which made the story believable. The book reminded me a bit of a Tarzan-type of story, or even a little like "The Madness of Lord Ian MacKenzie." Bottom Line: I loved this book, true love stories like this are what historical romance is all about. 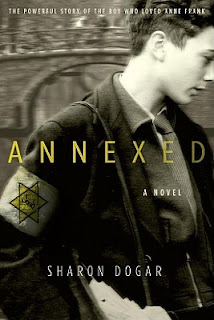 Shana Galen is one of my new authors to watch! Winner Announced!! 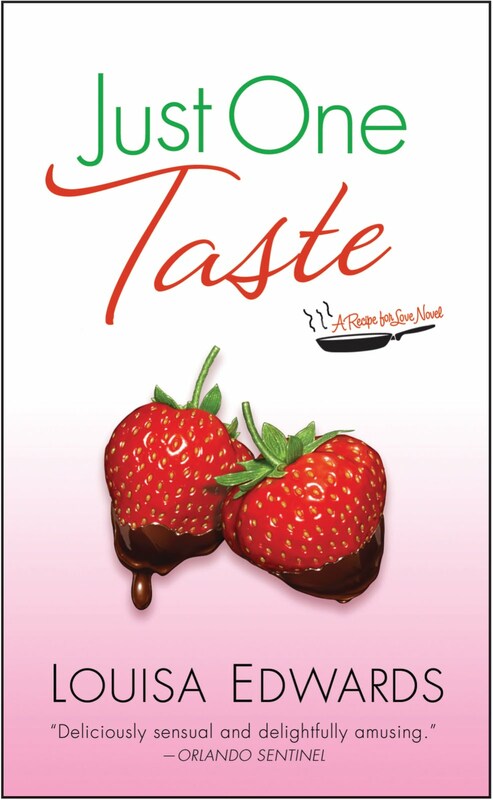 Just One Taste and Kitchen Swag! Winner was chosen via random.org random number generator. Congrat to the winner!! I have emailed the winner for a mailing address. Winner has 3 days to respond :) A huge thank you goes out to Louisa for stopping by with her guest post and for sponsoring the contest and to everyone who entered!! Congrats!! "A splash of gold hit the pianoforte, and she smiled. If words could not persuade him, the perhaps music could. " Nora Grey and her boyfriend and guardian angel, Patch, are closer than ever until one night, Nora blurts out the dreaded "I love you." Patch immediately comes up with excuses and zooms off in his Jeep. As if that's not humiliating enough, Patch goes straight to Nora's arch-nemesis, Marcie's, house. Two can play the jealousy game though, and Nora accepts her mom's urgings to get to know family friend, Scott. However, Scott may not be as perfect as he seems, he may not even be human. Will Patch still protect Nora if they aren't a couple anymore? 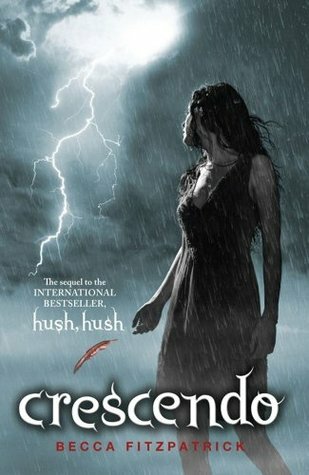 I haven't read Hush Hush, but I have heard so much about Patch being a nightmare of a character. After reading Crescendo, I've realized Nora isn't really a great catch herself. After so much Patch backlash, it wouldn't surprise me if the author had tried to make him a nicer person, because I didn't have a problem with him at all in this book. Nora, however, was so reckless! She continually put herself in very dangerous situations! I couldn't stand how she toyed with Patch and treated him badly by trying to make him jealous and then smugly thinking to herself-"I can put myself in danger because Patch is required to rescue me." 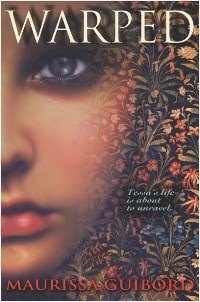 Even with the heroine's questionable choices, this book was addicting! I couldn't stop reading it. Through all of Nora's dangerous adventures, I was honestly scared for her, and couldn't wait to see what happened next. 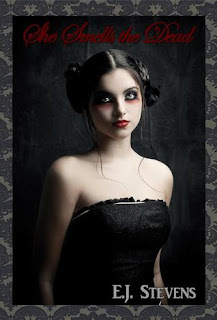 The author has a great way of writing exciting and suspenseful scenes. I liked the twisted and jealous relationship that Nora had with Marcie. It was pretty typical of high school mean girls. Nora's best friend, Vee, was probably the most stable character in the book. I really liked her and it was nice to be able to see things through her perspective when Nora got too out of control. Bottom Line: I think fans of the first book will love the sequel, and those who really hated patch might be happy to see he's cleaned up his act. Winner Announced!! 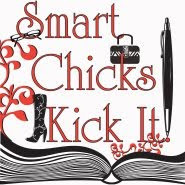 Smart Chicks Kick It Tour Contest! The Smart Chicks Kick It Tour ended yesterday!! I'm so happy to hear that all of you who were able to go had a great time with the authors! Winner was chosen via random.org random number generator. Congrat to the winner!! I have emailed the winner for a mailing address. Winner has 3 days to respond :) A huge thank you goes out to the Smart Chicks Kick It Tour for sponsoring the contest and to everyone who entered and who made it out to the Tour!! Congrats!! sent by Anna at FSB, thanks Anna! I can't wait to read it, it sounds so amazing! 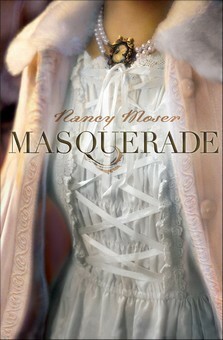 yay for a new historical romance! 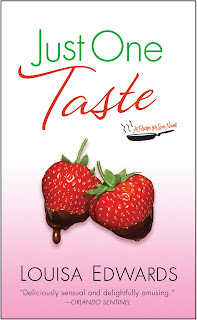 Today, I'm so excited to have "Just One Taste" Author Louisa Edwards guest posting here on my blog!! Thanks for stopping by, Louisa! I knew I was in trouble when my agent asked me to rework the very first chapter before she sent out my proposal for Can’t Stand the Heat. The scene was a pep talk between my professional chef hero, Adam Temple, and his Brit punk best friend and sous chef, Frankie Boyd. Frankie has his own subplot that arcs throughout the three books that comprise the Market trilogy, Can’t Stand the Heat, On the Steamy Side, and the most recent release, Just One Taste. It was a constant struggle to rein him in. Readers and reviewers invariably comment on him and his story, which involves a rocky romantic relationship with a young server at Market. I deliberately included a romantic subplot because my favorite romances almost always have one. Often, the subplot begins in one book and continues through a series until those secondary characters finally take center stage. Suzanne Brockmann has done this several times with her Troubleshooters, with Sam and Alyssa, Max and Gina, and my favorites, Jules and Robin. 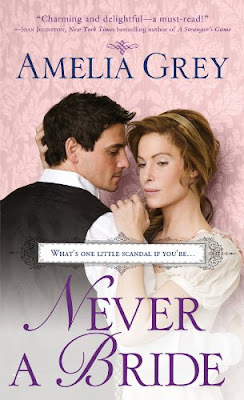 Eloisa James, too, is an expert on the art of the subplot—by the end of her recent Desperate Duchesses series, I was panting for the Duke of Villiers’s story! Subplots are a great way to build sustained interest in a series, because readers have the chance to meet and get to know the characters over multiple books. With a subplot, you don’t have to wrap everything up in a single story—as long as the main couple gets their happily ever after, you can draw the secondary romance out, end on a cliffhanger, and not have readers wanting to kill you! Well, in theory. Because readers know the score—they expect to see those secondary characters again in the next book, and they’re even more likely to rush out and pick it up if they’re already invested in one of the plot elements. And as I wrap up Frankie’s storyline in Just One Taste, I’m excited to share the conclusion of his story arc with his fans! I hope it’s as satisfying for them to read as it was for me to write. What are some of your favorite ongoing series subplots? Who are some secondary characters who steal every scene they’re in? 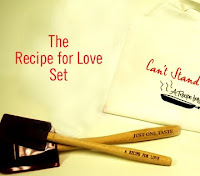 GIVEAWAY RULES: One lucky reader will win an autographed copy of "Just One Taste" as well as the Recipe for Love kitchen set, including two spatulas and an apron, one for each of the books in Louisa's Recipe for love series! All you have to do is follow my blog publicly and answer Louisa's questions or leave her a comment with your email address! Wes is an ex-con man looking to make a new start in the culinary profession. Scientist Rosemary has just started a new job as Wes' substitute culinary professor. Circumstances collide and they end up collaborating on a project researching aphrodisiacs. Will two polar opposites attract in the kitchen? The character of Rosemary was so funny and so well drawn by the author. If you're a fan of Sheldon from the show "Big Bang Theory" or Bones from the show "Bones," you will love Rosemary! She's so literal in everything. While she's a genius and was a child prodigy, she's severely lacking in social skills. I loved the secondary romance between bad boy Frankie and sweet, loveable Jess. Jess was much more appealing to me because I love a sweet guy over a bad boy any day! But as a couple, they clicked. I liked that Frankie was so jealous over Jess' friendship with Wes. It was unique and refreshing to see a gay romantic storyline as the secondary romance. The book does talk about food and restaurants but not to the point that it alienates non foodies like me. This book was definitely an escape, I wouldn't go into it expecting realism. But as a fun romantic comedy with a great heroine, it really succeeds. click here for a guest post by the author and a contest! As part of The Iron Seas Challenge at vvb32reads, I have my review of the first story in Meljean Brook's Iron Seas Series! Check out the rest of the reviews in the challenge here! from the anthology: "Burning Up"
Ivy, a blacksmith, desperately needs to get out of London-her life depends on it. So she accepts passage on Mad Machen's ship, against her better judgement. Mad Machen, or Eben, is well known as a ruthless pirate, notorious for his ill treatment of prisoners and even his crew. 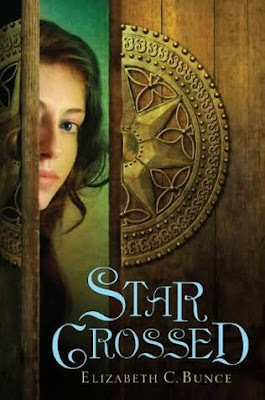 Ivy escapes Eben immediately, but she knows she can't hide from him forever. He'll be back to make sure she pays him what she owes. I love a good steampunk story and this one was great! 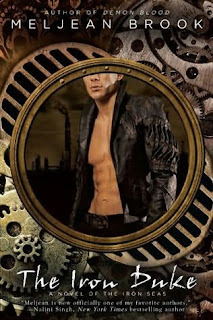 The author balanced the romance well with the technology and gadgets that readers want to see in a steampunk story. The author paints a detailed picture of a different world that never once feels confusing or unbelievable. This is a story where I'm so glad the romance genre uses two points of view-the heroine as well as the hero. At first, if I had only gone off of Ivy's preconceived notions of Eben, I wouldn't have liked him at all. But since we got to listen in on his thoughts as well, I totally understood why he had such a scary, hard image. I was able to also see the flip side of his personality and I liked him very much. In true steampunk fashion, the leads had mechanical body parts, which was pretty fascinating. In fact, part of Ivy's job was to make and repair mechanical limbs. There are so many supporting characters, each vividly drawn. The characters are especially deep for a short story. I'm eager to see them develop in the rest of the series. Bottom Line: This was a fantastic romance as well as a well-developed steampunk fantasy. I can't wait to read more about this world and these characters in "The Iron Duke." I just read the prequel to this book, a short story called 'Here There Be Monsters' in the anthology, "Burning Up." I loved it! 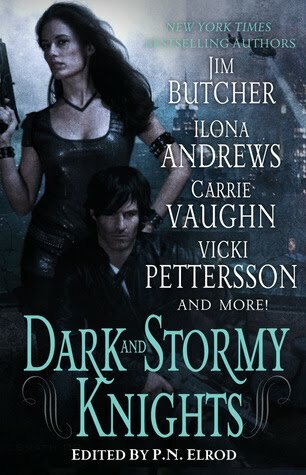 I can't wait to read more of this awesome steampunk romance series!! To celebrate the release day of Sabrina Jeffries' new book, I have my review plus a fun contest for an ARC and a deck of cards! Annabel Lake was taking the last desperate steps to save her family brewery from ruin. Her brother was too drunk to take care of the business anymore. Annabel took her best ale to Plumtree Brewery to propose a partnership. She knew the woman in charge would look at her as an equal. However, she didn't expect to find the woman's grandson in charge instead. Jarett Sharpe had the reputation of a wastrel gambler, could she trust him to save her brewery? Or more importantly, could she trust him with her heart? I thought the brewery storyline was very interesting and new. I liked the author's note that many women really were brewers at that time, when most women weren't really accepted in most jobs. I loved that Jarrett always treated Annabel as an equal in business. He never condescended her or made less of her business decisions because she was a woman. This was probably because he was used to his grandmother running his family's brewery. It was very refreshing to see the man and woman on equal footing in the workplace, something that's difficult to achieve even now. I didn't enjoy this book as much as Jeffries' other novels, but it was still a fun story. I liked Jarrett, but I didn't love him. I like a guy who tells his lady how he feels instead of hiding it all the time. I liked that Jarett was a gambler, but his wagers with Annabel were a little predictable in the direction that they took. Annabel was a little too martyr-ish for me. Giving up all of her happiness because of one mistake a long time ago when she was very young, when there were ways to overcome the obstacle and family more than willing to help her balance everything. My favorite part of the book was when Jarrett was stying with Annabel and her family, and they convinced him to sing. His singing voice was terrible and he hadn't sung anything since his family told him he was awful. But with Annabel's family, he was comfortable enough to be himself, even showing his less than likeable traits. Bottom Line: A fun historical romance, and I really liked the unique brewery setting and the equal business partnership that the main characters had. 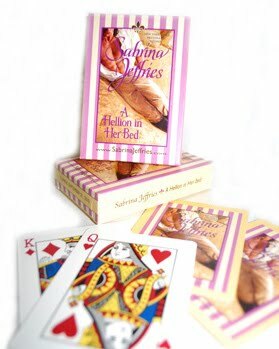 I have a special promotional deck of cards AND my gently read ARC copy of "Hellion in Her Bed" for one lucky reader!
" 'And I heard the talk that had begun: men claiming that you'd weakened for a woman-and if you are weak in one area, you can be weakened in others. So I spread a different story.' "
p 261 'Here There Be Monsters' by Meljean Brook from the Anthology "Burning Up"
Violet can sense the dead, she calls the feeling an echo. Sometimes, it's just because her cat has hunted a bird on their lawn. But then she starts to find human bodies-girls her own age. 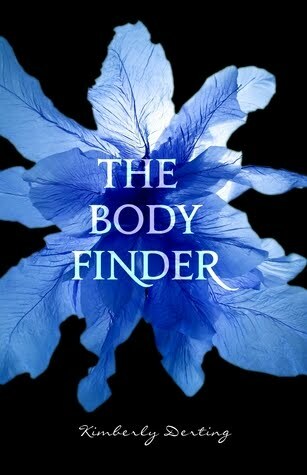 Violet thinks only she can help to find the killer responsible for these murders. Only her family and her best friend, Jay, know about her skill. Jay agrees to help her but only because he's scared she'll get into a dangerous situation without him. Jay has always been her best friend, so why is she suddenly having all these confusing feelings about him? Does she want him to be more than her best friend? I think I'm in love with Jay. I have to apologize to all of my other book boyfriends because they will have to scoot over and make room for Jay. I am so happy to see a healthy relationship portrayed in the paranormal young adult genre. Jay was a wonderful, caring guy who treated Violet with respect and love. All of the information about the mystery, the killer, and the bodies merged together in a blur of words, as I couldn't wait for more Jay. Then I would hang on his every word and analyze every subtle nuance of his actions. And there was a lot to analyze. Derting got all of the subtleties of new love right on the money. The author can tell miles of feelings and story with just a few words. I am a sucker for a friends to love storyline and this is one of the best I've ever read. The romance was so age appropriate, too. The characters and their relationship never came across as too mature for high schoolers. All of the new feelings that Violet felt were so true and real when it comes to first love, especially when realizing that maybe your best friend is something more. And I loved the way that jealousy came into play for both Violet and Jay. Bottom Line:This is such a fantastic love story, full of the real ups and downs of high school love. The paranormal element is a great bonus to the love story in my opinion. It's time for Book Blog Follow Friday hosted by Parajunkee.com!! I missed last week's Follow Friday so I'm ready to play catch up! I've found so many awesome new blogs to read by participating in this fun event! Check it out by clicking the pic!! Mirabella Whittingham has been waiting six years for her fiance to return to London and marry her. She hasn't exactly been pining away for Camden, Viscount Stonehurst, since she's never met him and the match was arranged by their parents. Until he returns from America, Mirabella takes it upon herself to find her friend Sarah's killer by kissing half of the bachelors in London! Camden has been hiding from his past, but an urgent letter from his mother brings him back to London. He is shocked to find his family in desperate need of funds and that his beautiful fiance has been kissing half of the ton! I really enjoyed this book, it reminded me a little of the older, fluffy regencies because it wasn't too dark. The only problem I had was that Mirabella continued to be obsessed with finding the killer even when she knew it was dangerous and it was driving away the man she loved. The killer had already taken one life, and Sarah wouldn't have wanted Mirabella to give up her own life because of him too. There were some really romantic moments between Mirabella and Camden. Their first meeting was electric, I loved it!! Camden got under my skin sometimes because he had such a lofty attitude about Mirabella kissing other men when who knows who he was kissing for six years in America! But overall, he was very cute and you could tell he really loved Mirabella. We all know he really just had an attitude about the kissing because he was jealous! Bottom Line:This is a really pleasant, fun read! 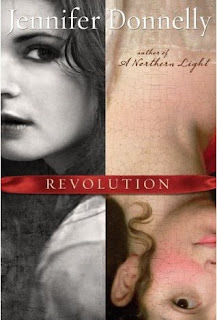 The book is a reissue of Grey's first regency romance, and I actually enjoyed it more than her recent books! I have a great giveaway starting on my blog today!! 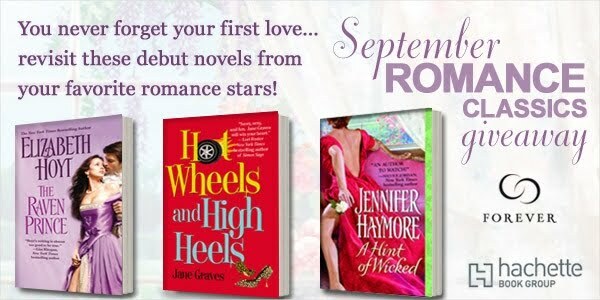 Thanks to Hachette books, I have three sets of classic romance books up for grabs!! 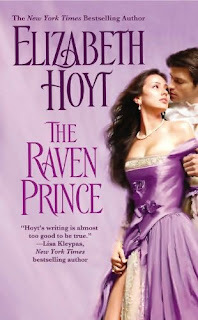 One of these books is one of my FAVORITE historical romances ever- "The Raven Prince" by Elizabeth Hoyt. 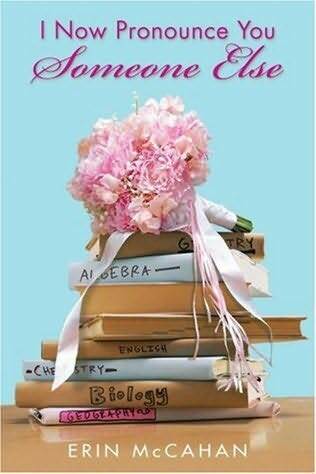 I'm so happy to give three of you the opportunity to read it as well as two more great romances! Hachette books has generously provided THREE sets of ALL THREE books for readers of my blog! "I Now Pronounce You Someone Else"
Bronwen always felt so different from her mother, her stepfather, and her brother (the golden child) that she thought she might have been switched at birth. She knew this wasn't really true, but it was a fantasy that her 'real' family was out there and was more like her. In her senior year, she meets Jared, who is in college. They fall in love and before graduation, Jared asks Bronwen to marry him. Their parents are reluctant to accept the decision, and so do Bronwen's friends. When Jared pushes the wedding date even sooner, will Bronwen be able to go through with it? This book really had a lot of emotion!! 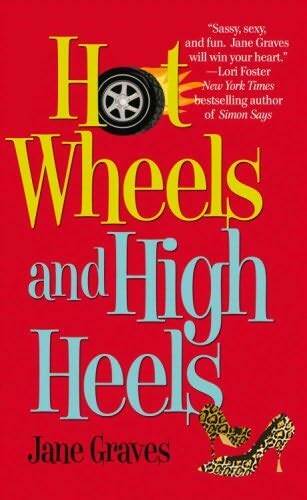 The author was able to fully explore the issues at hand, including stepfamilies and romantic relationships. Bronwen never felt accepted by her mother. She never felt good enough, or as good as her brother. Her father passed away when she was little, which changed her relationship with her mother as well. She wanted to give her stepfather a chance, but when he didn't follow through on something very important, she stopped giving him that chance. She felt like she was even more of an outsider in her family. 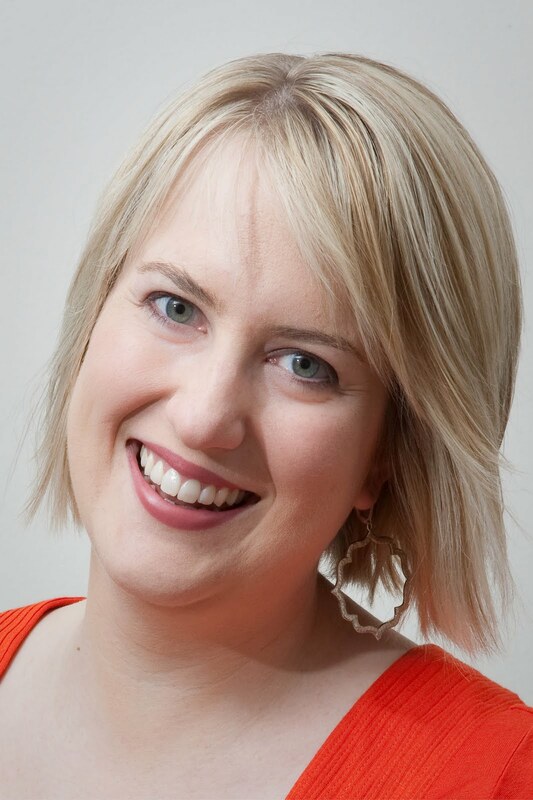 With Jared, Bronwen finally feels accepted and that she is a part of something- a family. Jared's family immediately takes Bronwen in as one of their own, and she bonds with each of them. Her love for Jared is definitely enhanced by his family. Jared was a sweetheart, but not flawless by any means. His flaws added to the overall real-ness of the story. Bronwen had some very real decisions to make, about college and love, all of her decision making did not revolve around Jared only. I was really surprised by a couple of things that happened at the end. I won't give any spoilers of course, but I didn't see these things coming at all! Bottom Line: This is a really unique YA romance that deals with some real questions that teens face with romance and with family. Winners Announced!! BlogFest and Seduced by a Highlander! Winners were chosen via random.org random number generator. Congrats to all three winners!! Winners have already been notified by email and all have responded! I have sent your addresses to Hachette and they will be sending out your books soon! A giant thank you goes out to Hachette for sponsoring the contest!! Congrats and a huge thank you to everyone who entered!! And now for the winner of BlogFest 2010!! Winner was chosen via random.org random number generator. Congrat to the winner!! I have emailed the winner for a mailing address. Winner has 3 days to respond :) A huge thank you goes out to everyone who entered who made BlogFest a success!! Congrats!!
" 'It's no secret Patch is trouble. He's got the whole bad-boy-in-need-of-redemption thing going on, but the catch is, most bad boys don't want redemption. They like being bad.' "
I am so excited to read this ARC! won from Wendy at the Minding Spot! Thanks, Wendy! won from Cheeky Reads! Thanks! check back soon because I also have a copy to give away! and swag! thanks, EJ! 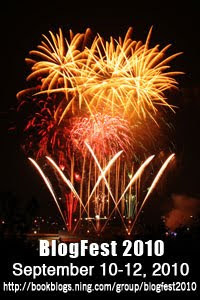 It's time for BlogFest 2010! This event is hosted by Cinnamon at Journey of Books! Over 200 blogs will be hosting giveaways from Sept 10-12, so go check out all the contests!! As for my contest, I will be giving away TWO books that I have read and reviewed on my blog! I tried to mix it up and have a little something for everyone. I really enjoyed both books, so I hope you do too! One winner will win BOTH books!! All you have to do is follow my blog publicly and leave a comment on this review with your email address! There's no extra entries on this one because Blog Fest is a quick weekend only contest! 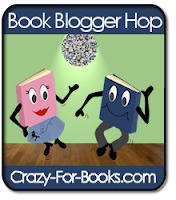 It's time for Book Blog Follow Friday hosted by Parajunkee.com!! I've found so many awesome new blogs to read by participating in this fun event! Check it out by clicking the pic!! It's also the first day of the Blog Fest 2010, hosted by Cinnamon at A Journey of Books! 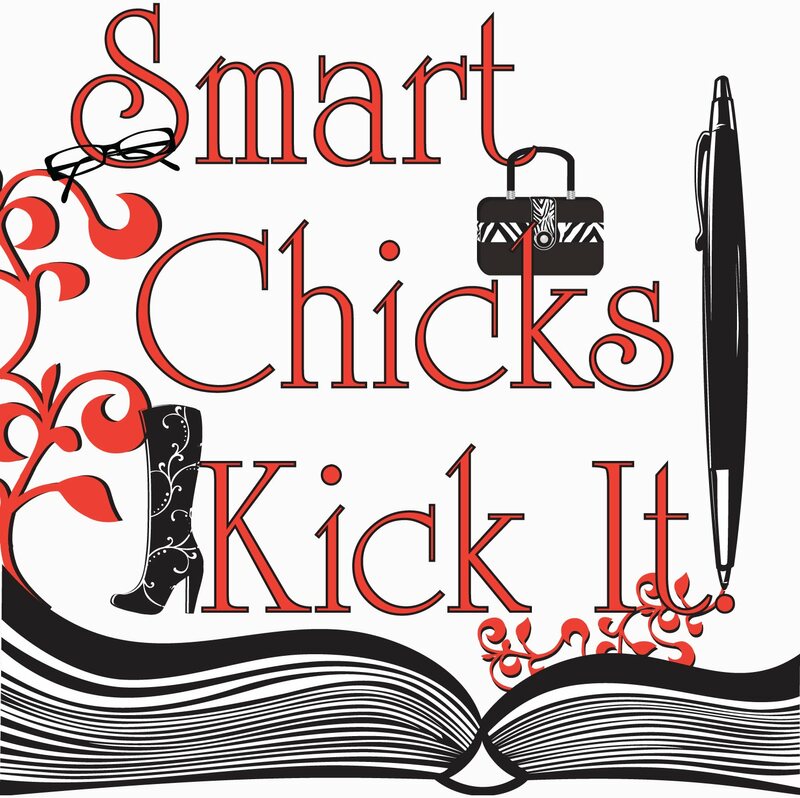 Smart Chicks Kick It Tour Info and Giveaway of THREE books from the authors on the Tour! 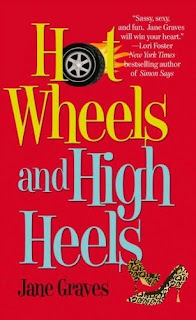 On September 13th, 2010, eighteen of today’s most buzzed about writers of young adult paranormal romance – from international bestsellers and award winners to the genre’s hottest newcomers -- hit the road for a whirlwind twelve-city, two week tour. 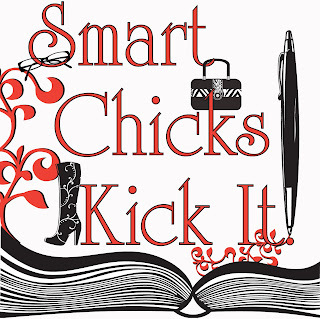 Unprecedented in terms of size, scope and its organization, the highly anticipated Smart Chicks Kick It Tour (www.smartchickskickit.com) is author-organized AND author-funded, with the 18 participating authors -- or “Chicks” -- coming from a wide variety of different publishers. This ground-breaking approach will, for the first time ever, provide fans the opportunity to meet and talk to some of their favorite authors at one time, even though the authors publish with different houses. Featuring five to nine Chicks at every venue, the author line up in every city will be different so no two events will be exactly the same. Kelley Armstrong (New York Times bestselling urban fantasy author of the Women of the Otherworld series), Melissa Marr (creator of The New York Times bestselling Wicked Lovely series) and Alyson Noel (New York Times bestselling author of The Immortals series) will appear at every venue. So, the question is...will the tour be stopping in YOUR town?? Please see the schedule for the next two weeks, including which authors will be appearing where! Appearing: Kelley Armstrong, Melissa Marr, Alyson Noel, Holly Black, Cassandra Clare, Kami Garcia & Rachel Vincent. September 17th, 2010, 7 PM @ Scottsdale Civic Library Auditorium, hosted by POISONED PEN Phoenix, AZ Appearing: Melissa Marr, Alyson Noel, Kelley Armstrong, Holly Black, Sarah Rees Brennan & Kimberly Derting. To celebrate the tour kick off, The Smart Chicks are offering a very special giveaway for readers of my blog! 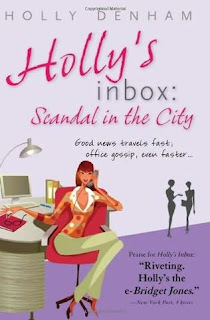 The contest is for a “Smart Chicks Surprise Pack” – 3 books from authors appearing on the tour!! One lucky reader will win a “Smart Chicks Surprise Pack” – 3 books from authors appearing on the tour! !